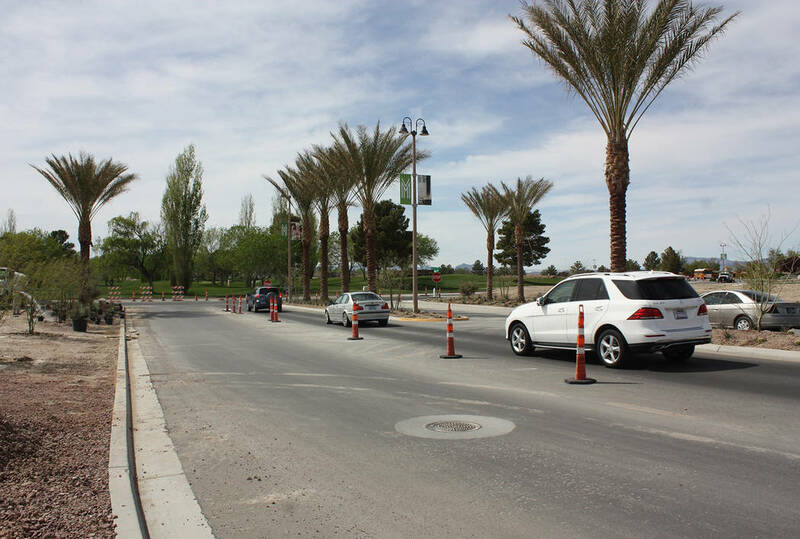 Road construction on Mountain Falls Boulevard has been taking place intermittently over the past few months, with the stretch of street extending from Nevada Highway 160 into the master planned community the subject of a cone zone off and on for several weeks. Robin Hebrock/Pahrump Valley Times Taken on April 4, this photo shows cars entering the Mountain Falls subdivision via Mountain Falls Boulevard, which was paved just the day before. Robin Hebrock/Pahrump Valley Times Landscaping was a part of the construction that took place on Mountain Falls Boulevard. 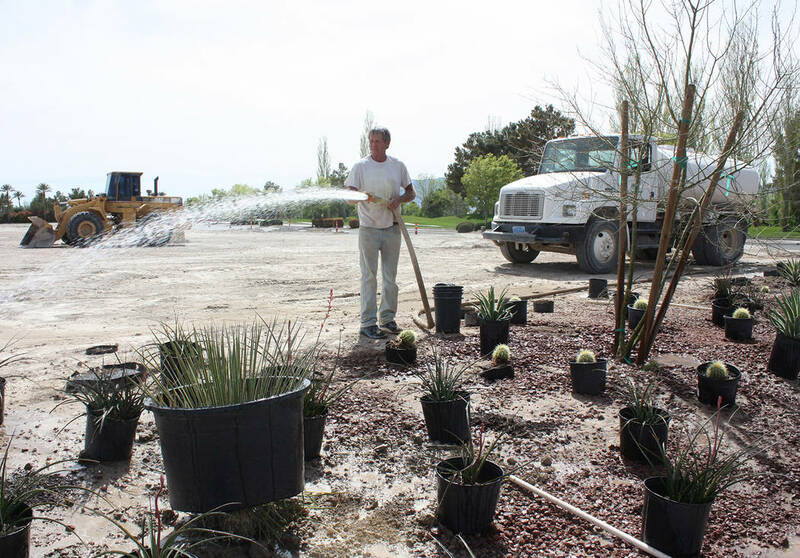 A work crew member is shown watering the plants down prior to their placement along one of the main entrances to the Mountain Falls master planned community. That project now appears to be at its culmination. “We paved the intersection today,” William Lyon Homes President James Gomez briefly reported on April 3, when contacted for information regarding the project. Requests for further information were not responded to as of press deadline.